...let us light up your world!! 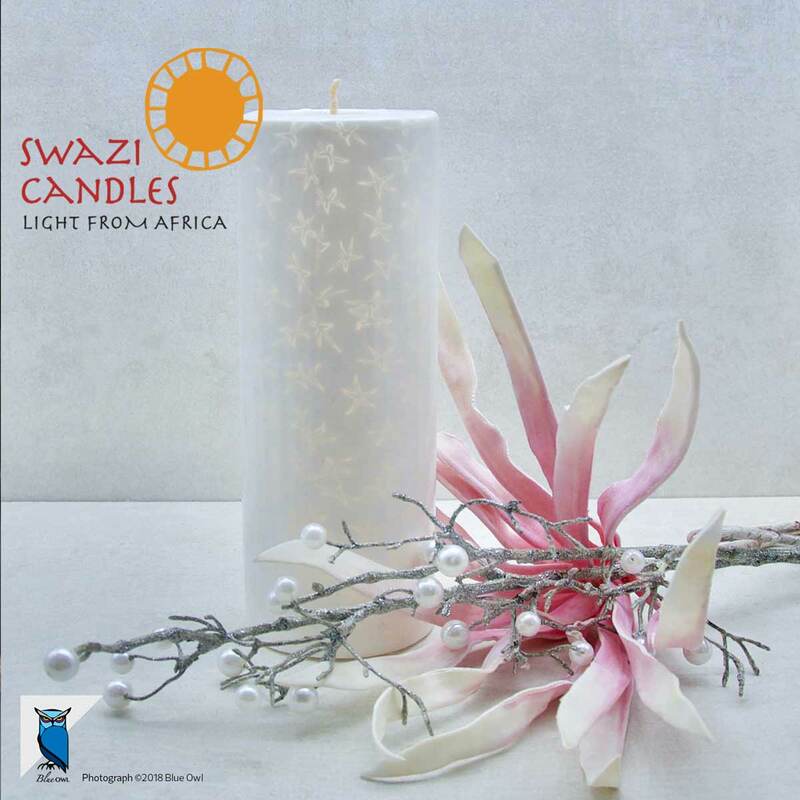 An expedition to Swazi Candles is not just a candle experience. 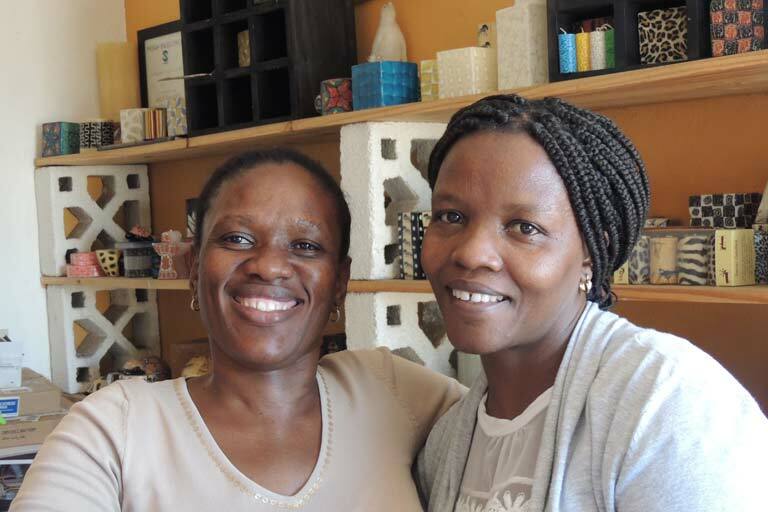 We are happily surrounded by other talented crafters, artists and artisans as well as a bustling market and souvenir shops. 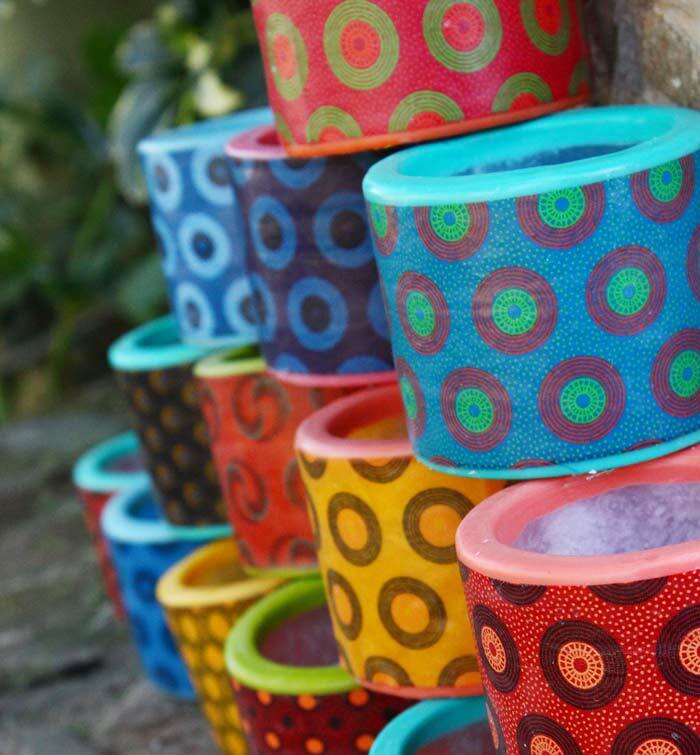 Sample some Black Mamba chilli sauce or take a stroll through Yebo Art Gallery. The Sambane Tea Garden provides excellent meals, cakes and daily specials in a beautiful shady garden setting with a fabulous children's playground. We permanently employ 45 people. 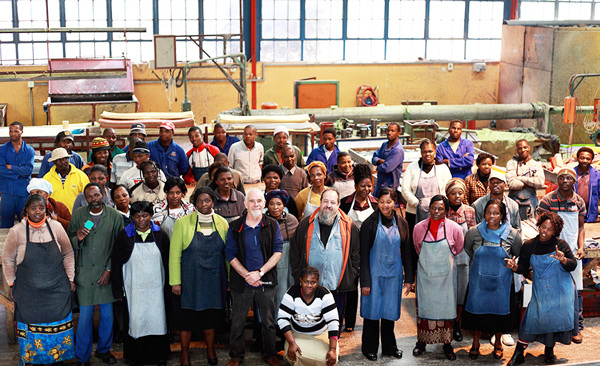 As a founding member of SWIFT (Swaziland Fair Trade Association) we are passionate about providing quality of life in the workplace for our employees. 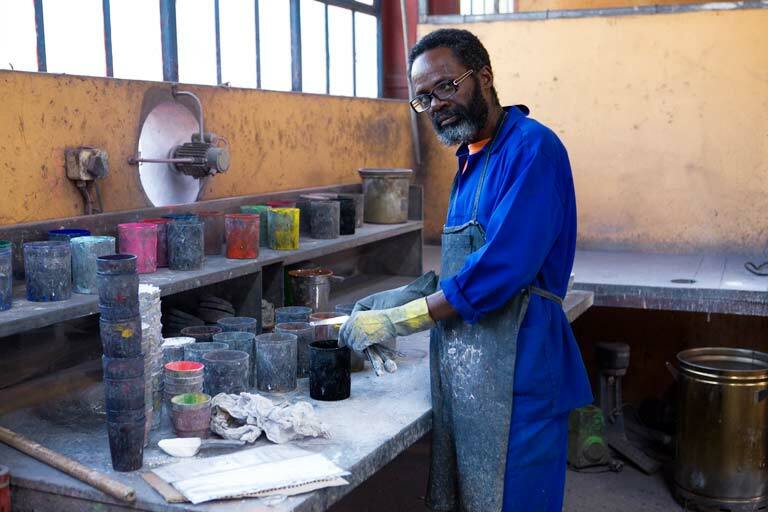 Our workers are part of the decision making process in our company and we are committed to sharing profits and paying a living wage to our people. 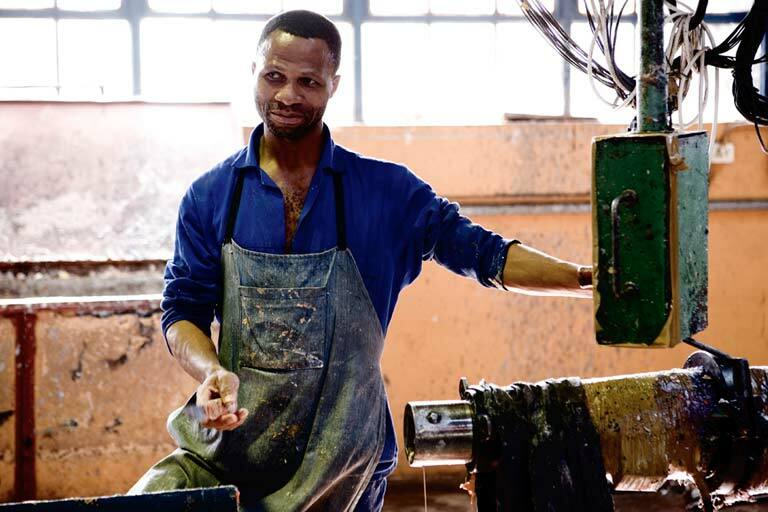 Our employee benefit structures include Health Care, Pension Funds, Clothing Allowance, Food Allowance, Transport Allowance, Educational Loans, Funeral Insurance and access to the SWIFT Training Programmes. The wax is first dyed in large trays and then cooled into sheets. The sheets are then cut into strips and layered to form the desired pattern. The layered strips are then extruded to provide the patterns with their intricate detail and then sliced into usable veneer. 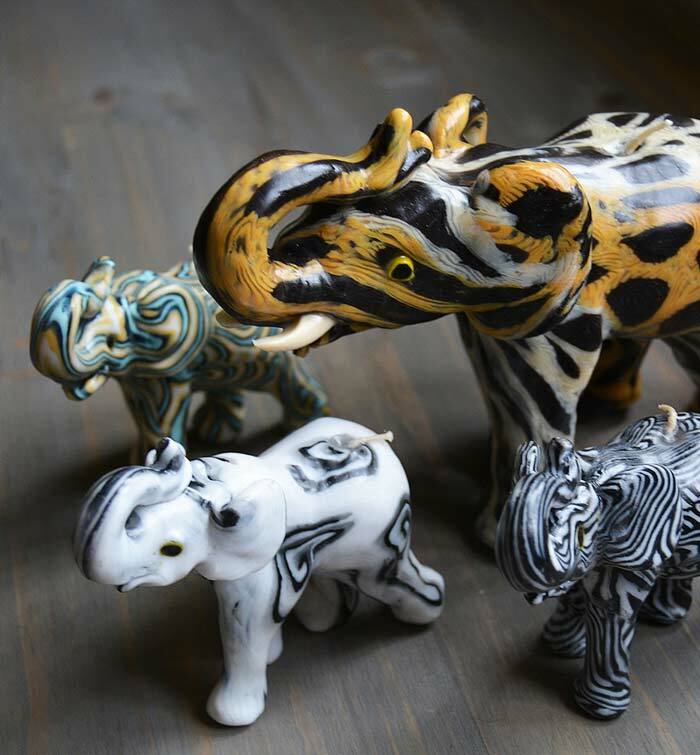 Our artisans then warm the veneers and skilfully hand sculpt them into beautiful animals or geometric shapes. 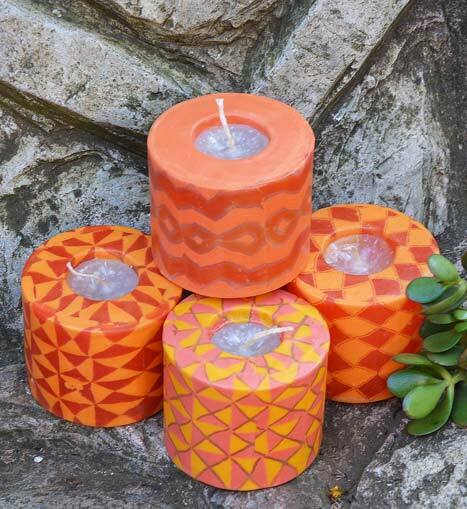 The beautifully intricate designs of Swazi Candles use the ancient technique known as "millifiore". 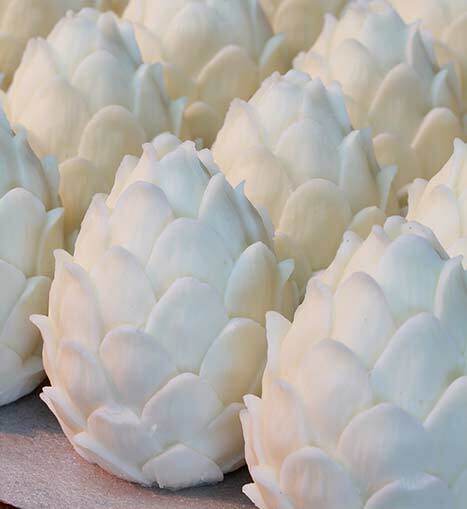 Millefiore, or, "thousand flowers", first surfaced in Alexandria, but was perfected in the great glass making cities of Murano and Venice. 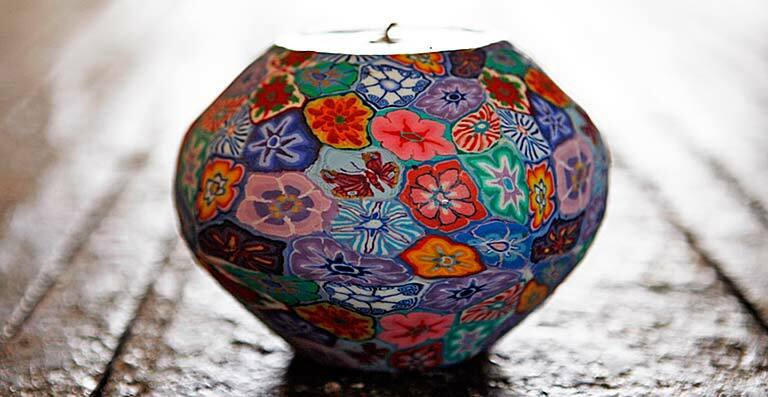 Glass beads and other objects created there were of such beauty and finesse that they became much sought-after, valuable artifacts. 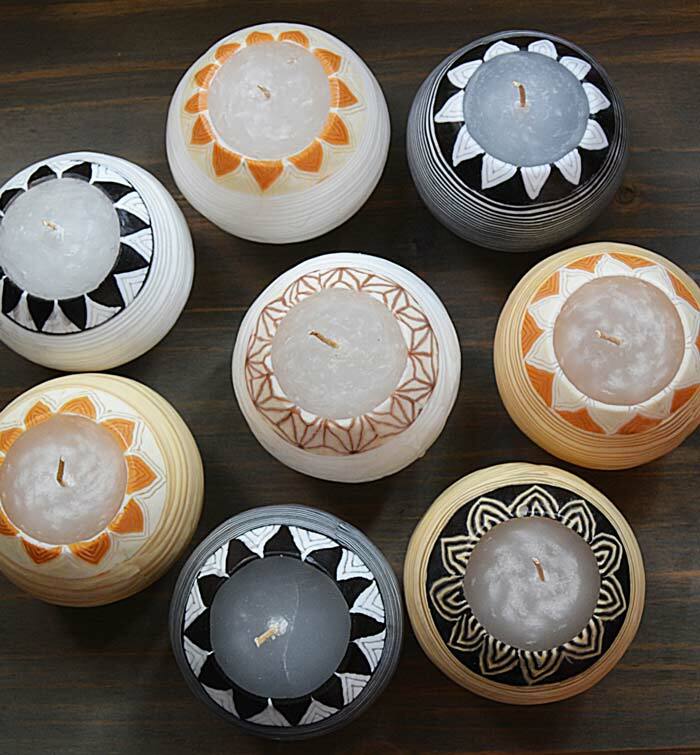 The art of millefiore continues in Swazi Candles. 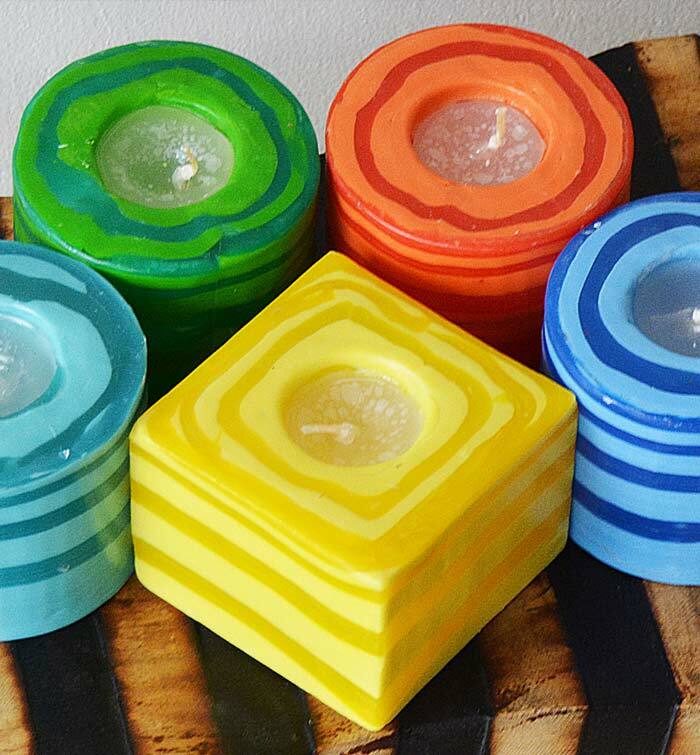 But instead of glass, the gifted candle makers of Swaziland use a special hard wax to create their colourful designs. 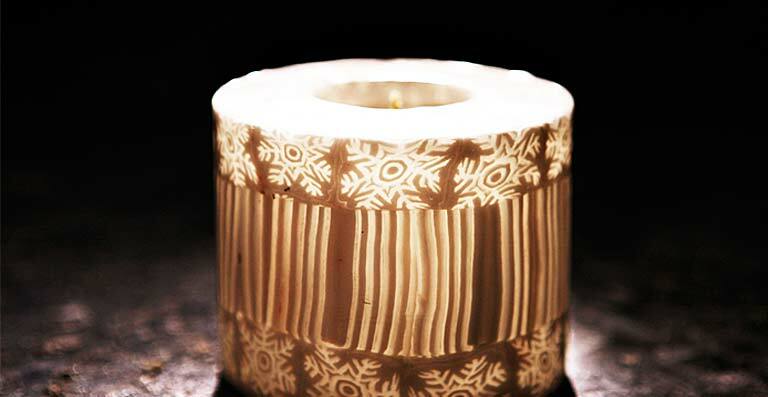 The hard wax veneer forms the outer shell of the candle, which hardly melts when the candle is lit. 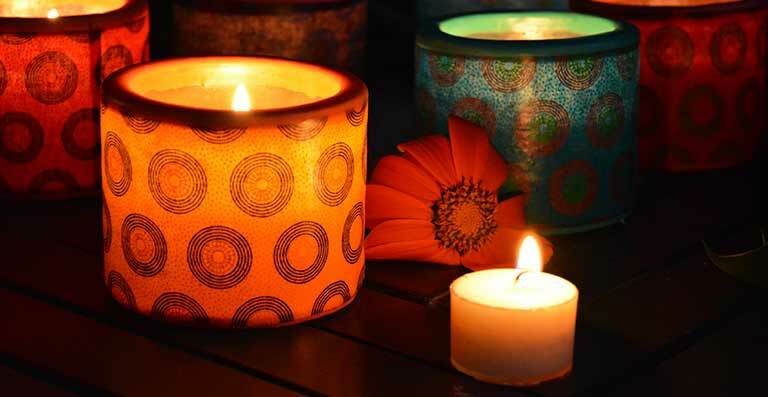 Hence the rich, romantic glow of the illuminated exterior as the candle burns deeper into the container lighting up the casing. 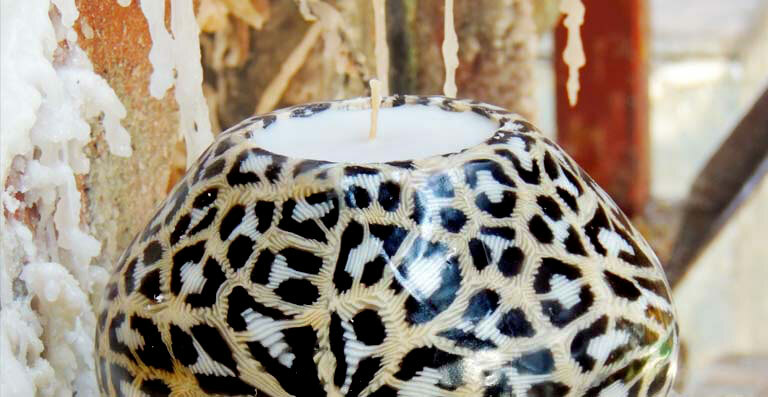 The shells can still be used even after the original inside wax is gone when refitted with a votive or tea candle. 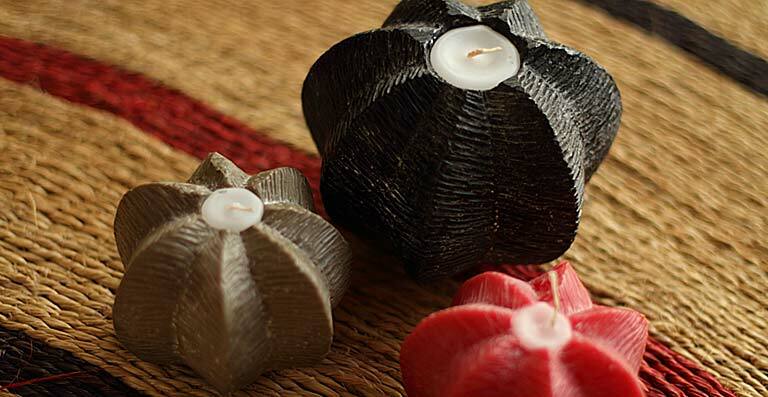 Due to their small size, mini candles do not burn in this manner and both the inner and outer wax melts with the flame, yet they still retail their intrinsic value as works of Swazi craft and possess the ethereal glowing qualities that Swazi Candles are known for. 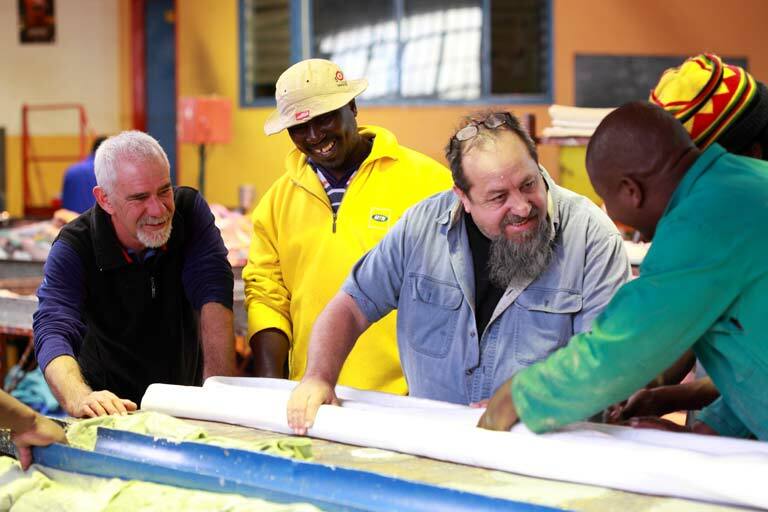 We have an organic vegetable garden to help supply our workers with fresh, wholesome food. We believe that what you put in, is ultimately what you get out. By investing in the health and well being of our staff, we, in turn, get the best from them, thus enabling us all in a win-win situation. Our beautifully prolific garden also provides chillis for another local Fair Trade producer. 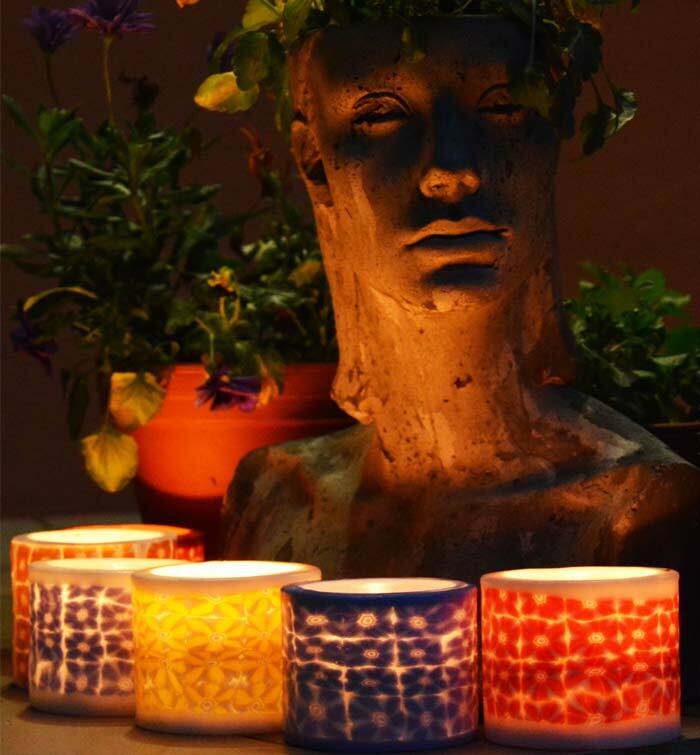 Our LED Glow Lamps glow for ±100 hours on 2 AA batteries. 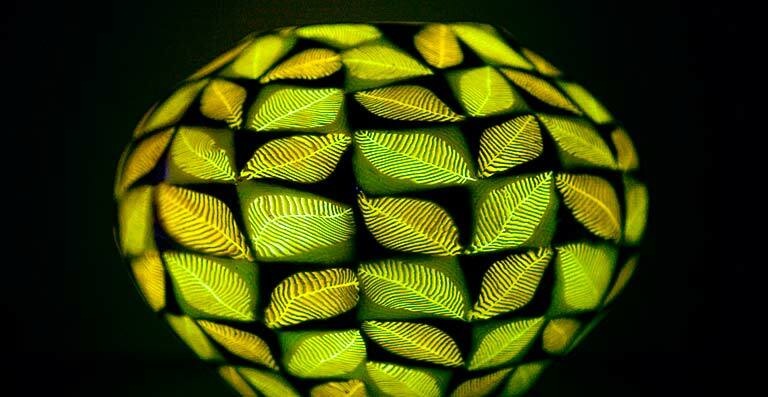 Perfect for children's nightlights or creating that perfect ambience. Bring some light into YOUR life! Please contact us for a full catalogue of available products. 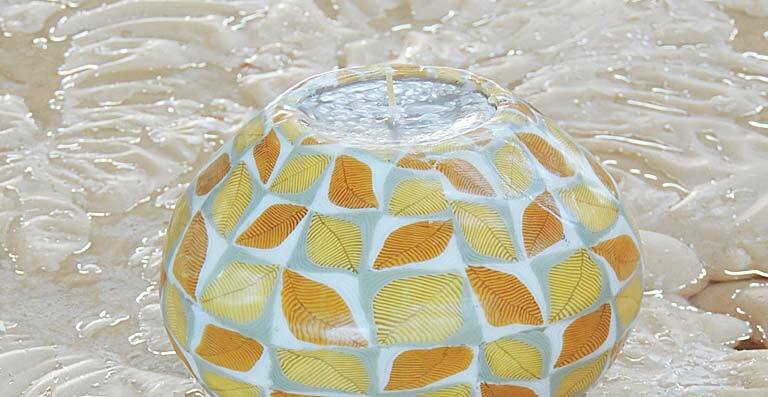 Keep up to date on our latest products and fresh design inspirations! Drop us an email and tell us about your business. We would love to hear from you. 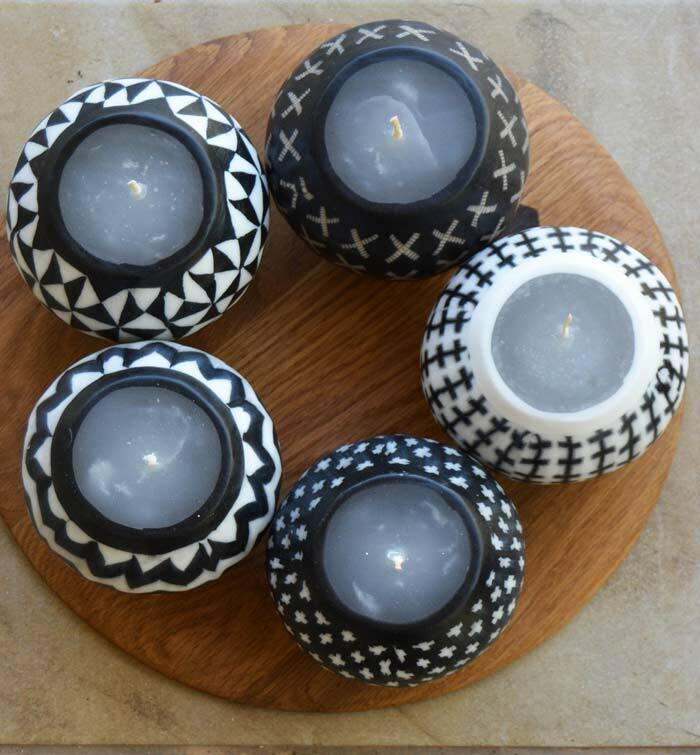 See your closest stockist of Swazi Candles. If you don't see a wholesaler near you please contact us directly!